Santa Cruz METRO and the City of Santa Cruz collaborated to redesign Pacific Station, the transit center formerly known as Metro Center on Pacific Avenue in downtown Santa Cruz. The goals for Pacific Station are to improve the transit center for a more efficient and customer-centric operation; to create a mixed-use development which could provide needed housing, parking and integrated retail space in proximity to frequent transit service; and to improve the urban fabric of lower Pacific Avenue and Front Street with urban design features well integrated with the surrounding buildings and businesses. Pedestrian friendly, active street frontages will enhance the viability and attractiveness of the downtown, and the transit-oriented, mixed-use development has the potential to catalyze further development along the southern end of Pacific Avenue. After nearly two years, the conceptual design process for Pacific Station, Reimagine Pacific Station, approaches completion. Six alternatives and a recommended conceptual design had been prepared for a final report to be delivered in June 2015; however, another redevelopment project adjacent to Pacific Station entered into its conceptual design phase late in 2014. Located between Front Street and Pacific Avenue and extending from Pacific Station to Laurel Street, this project is also intended to be a mixed-use development with some of the same goals as Pacific Station. A dialogue among all of the parties in the two developments revealed potential, mutual benefits which could be gleaned by coordinating the developments. Group 4, together with Santa Cruz METRO, the City of Santa Cruz, Devcon Construction, Owen Lawlor and architects and urban design experts associated with the project held multiple joint design sessions to further explore the opportunity. At this point, Santa Cruz METRO has extended Reimagine Pacific Station for 60 days to allow the joint exercises to continue. Within the next two months, all parties hope to define their relationship, if any, to a joint project and determine the next steps in moving the redevelopment projects into the engineering and right-of-way acquisition phases. 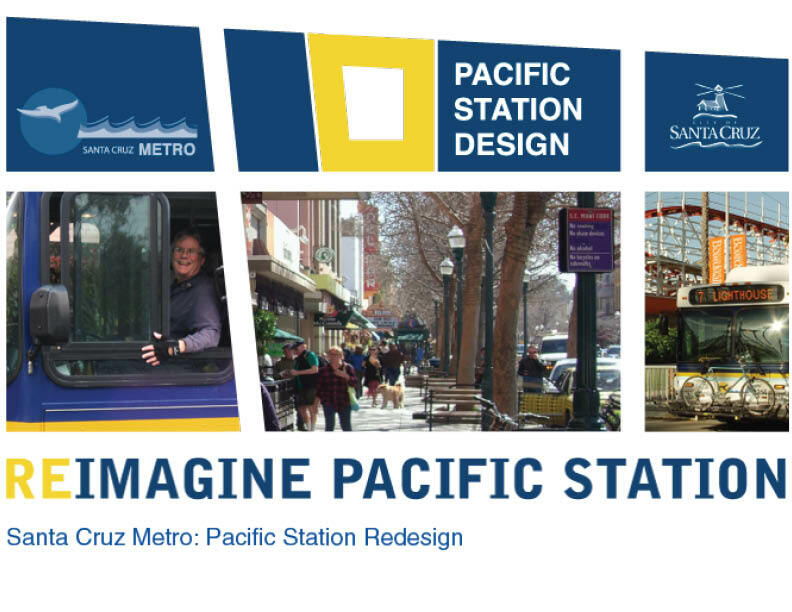 Thank you to everyone who has participated in Reimagine Pacific Station and stayed tuned for upcoming results.